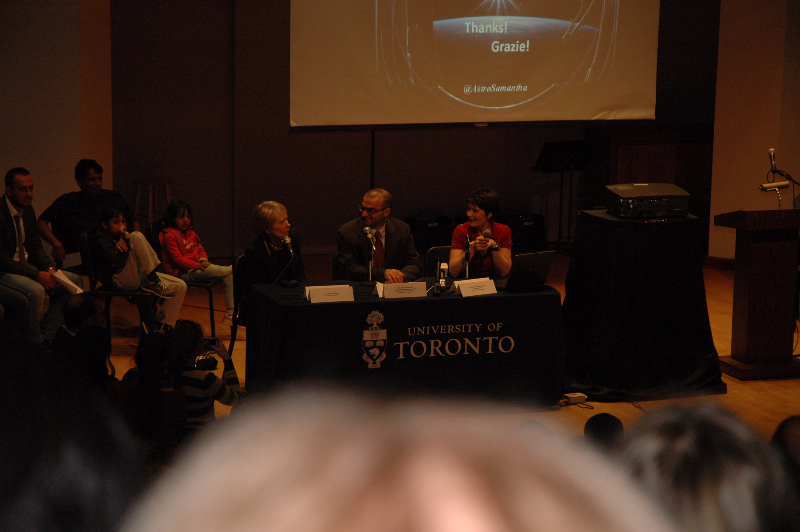 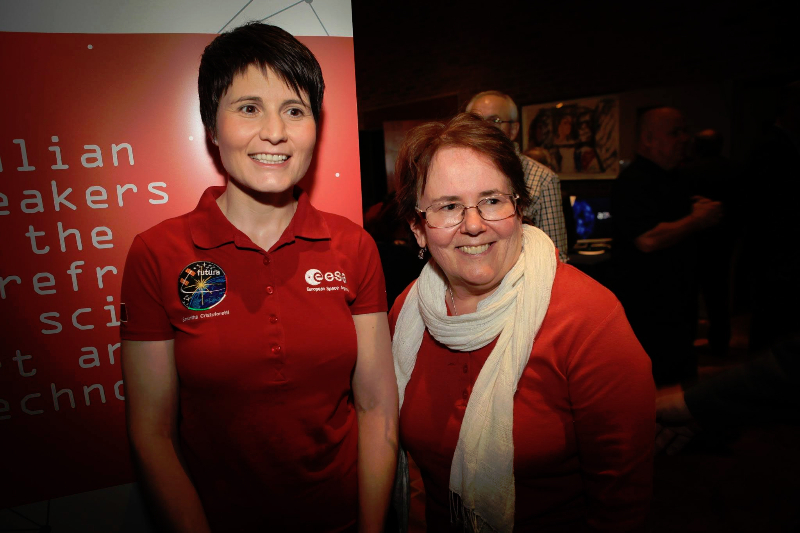 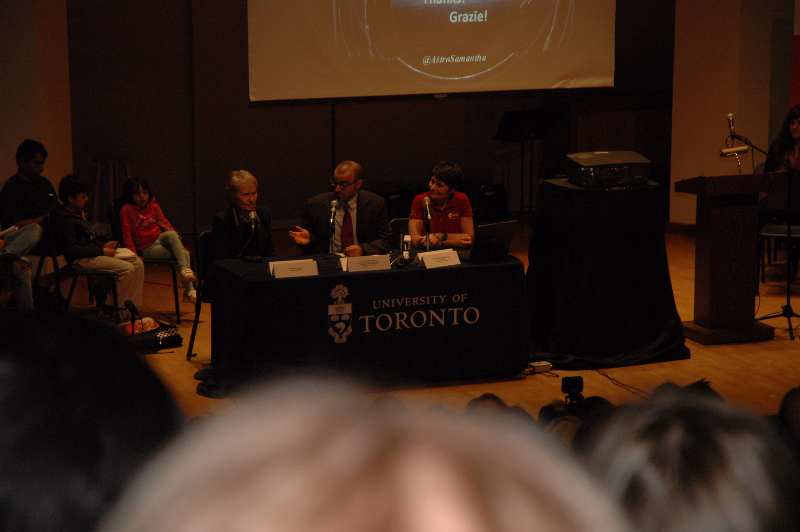 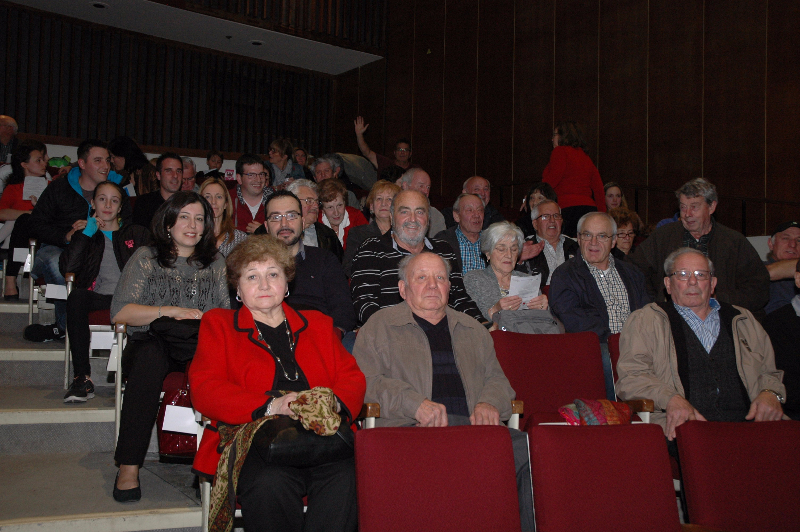 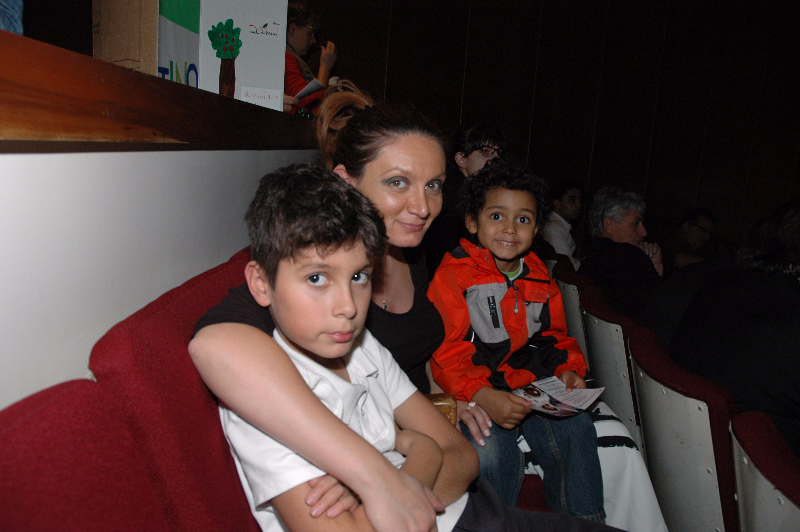 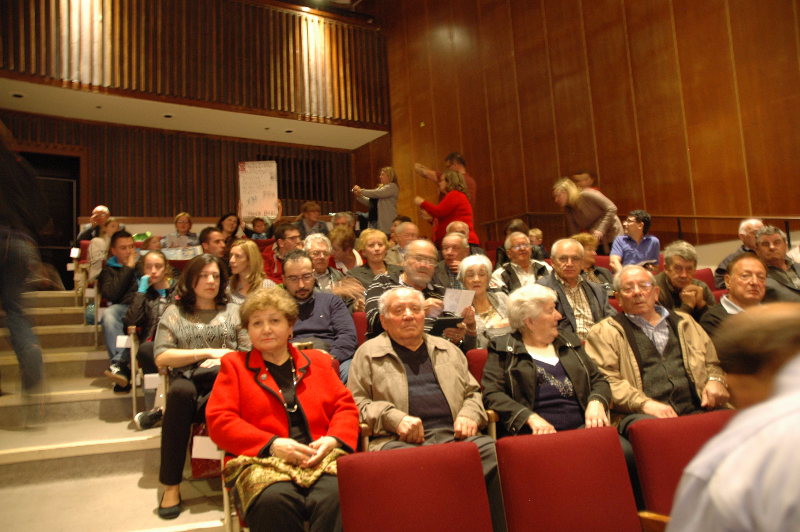 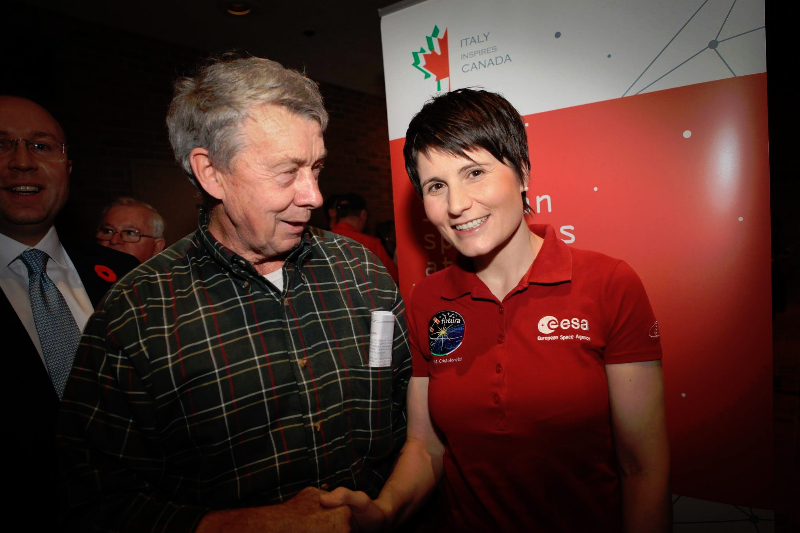 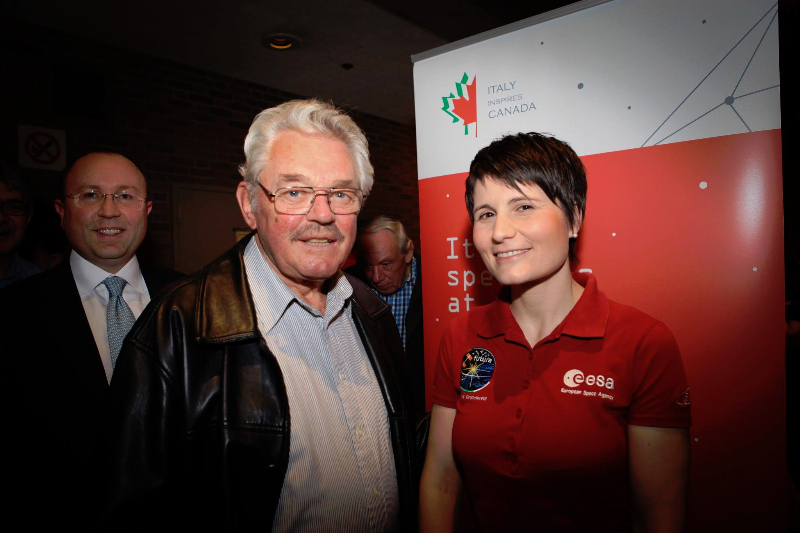 We were the largest regional representation at the lecture by Samantha Cristoforetti Nov 4 2015 at the Walter Hall – Faculty of Music, University of Toronto. 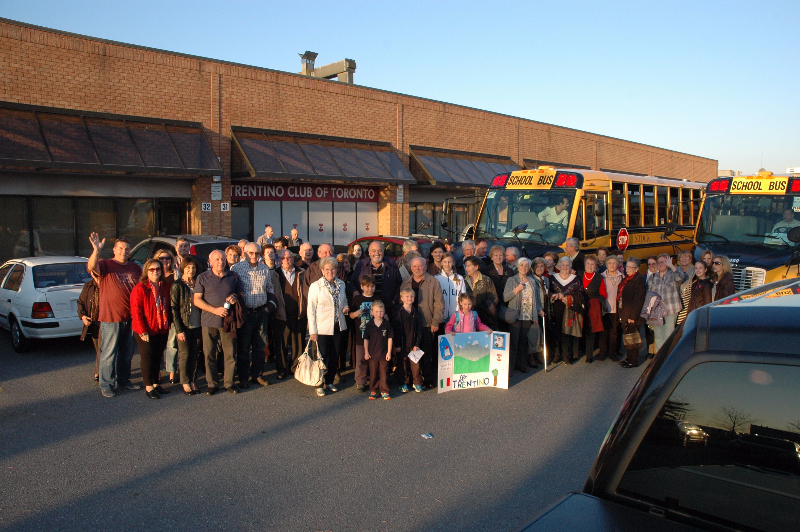 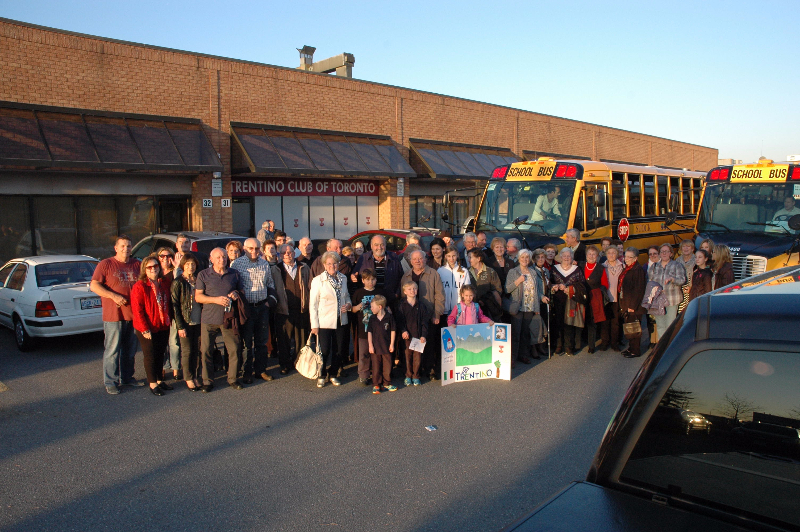 In addition to two buses from the club, many Trentini already downtown attended. 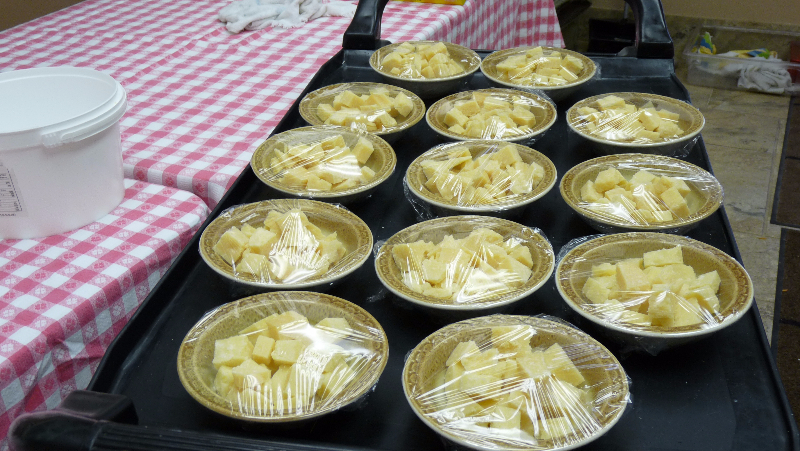 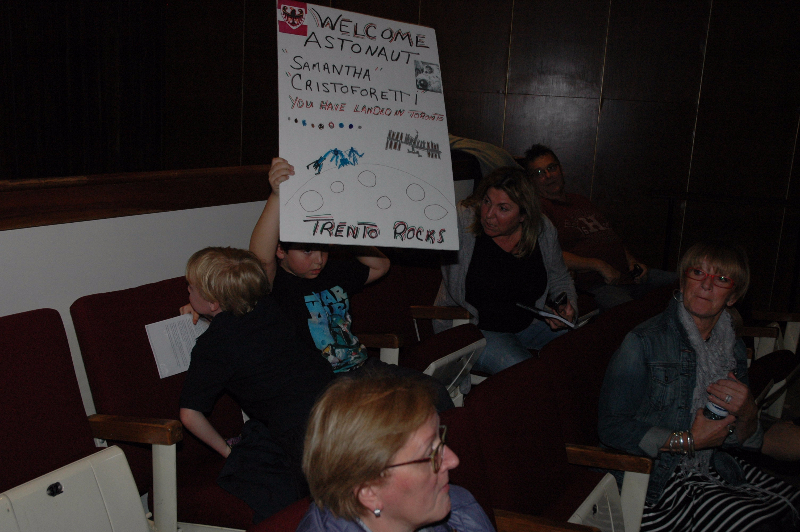 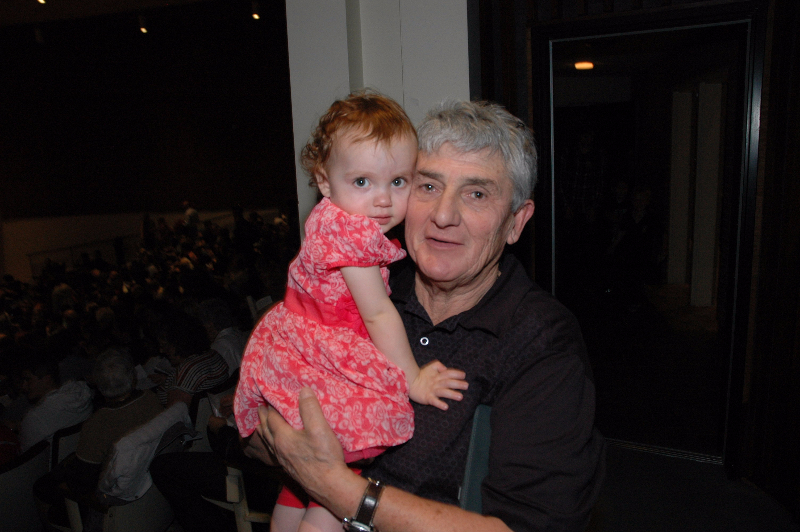 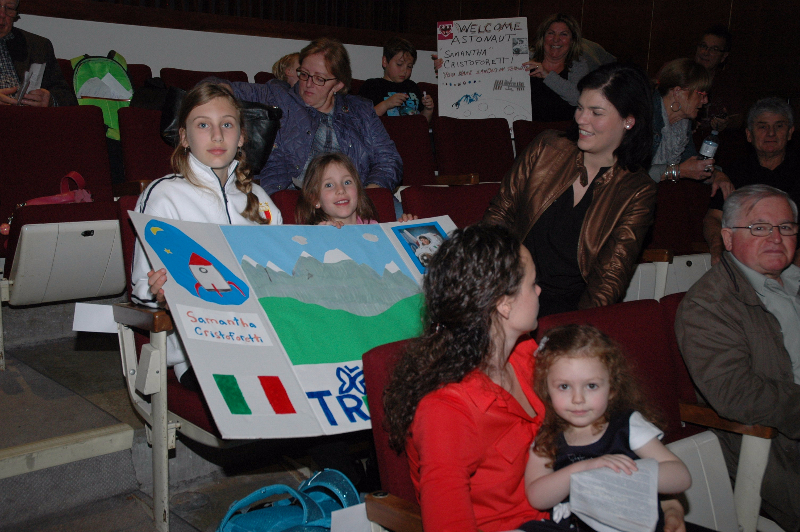 The total number of Trentini exceeded 100 which was 20% of the capacity. 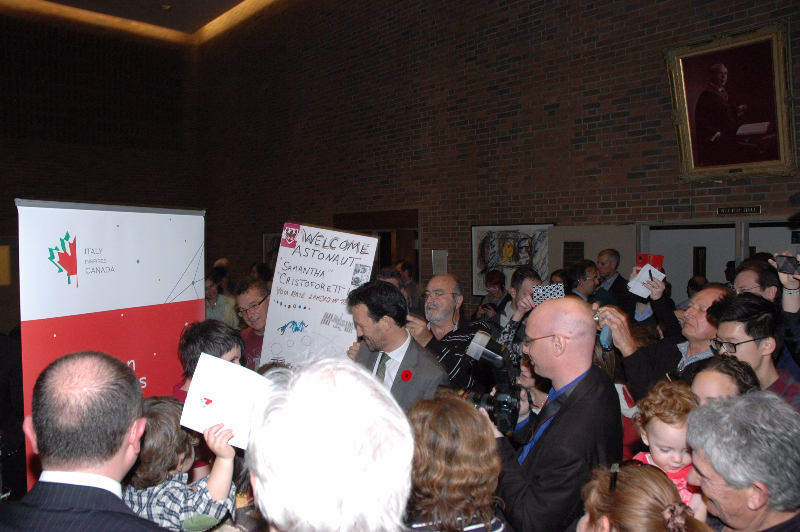 Thank you for taking time out of your work week to attend this once in a lifetime opportunity and to demonstrate the strength and numbers of our community. 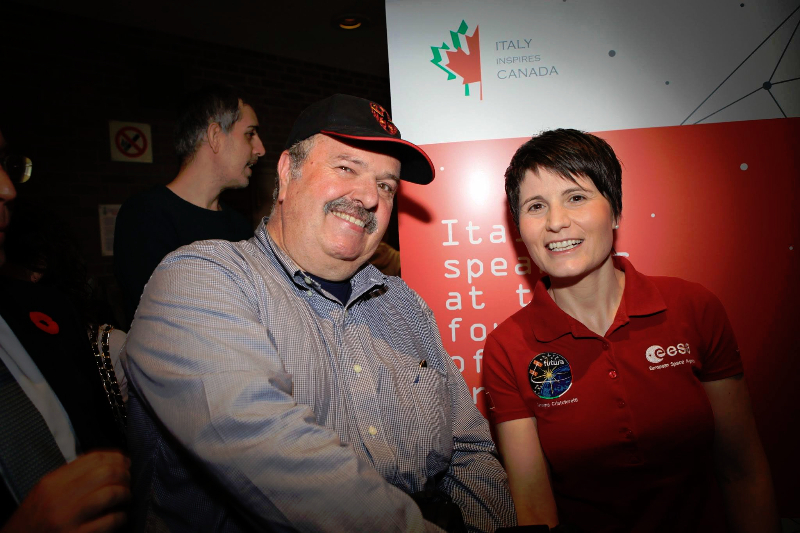 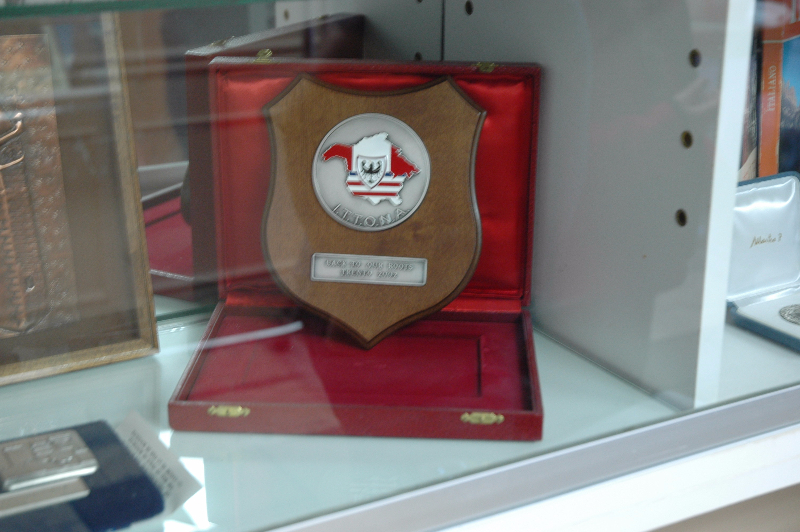 We would like to thank the Italian Consol General, Dott. 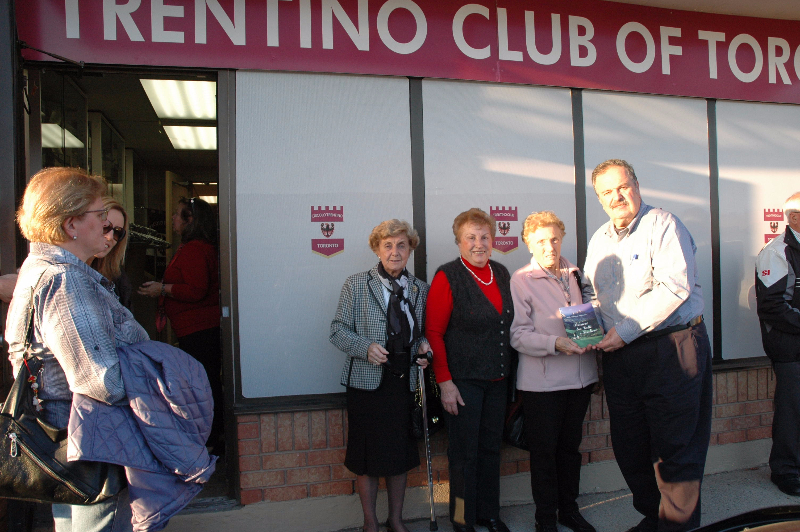 Giuseppe Pastorelli, and the director of the Istituto Italiano di Cultura Alessandro Ruggera for inviting our club. 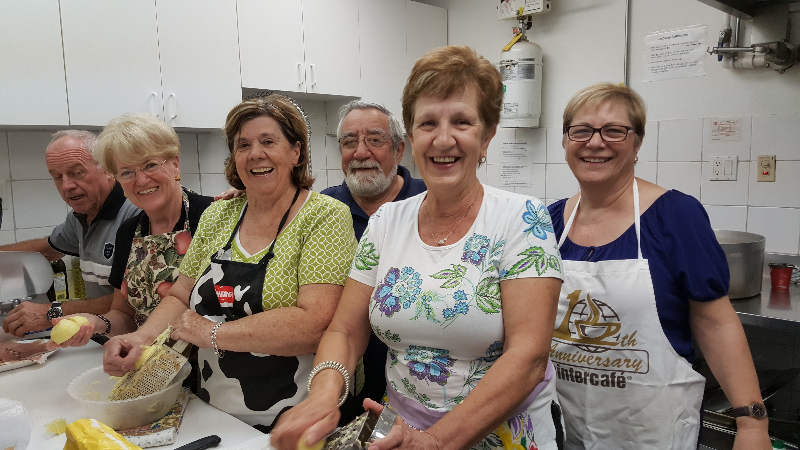 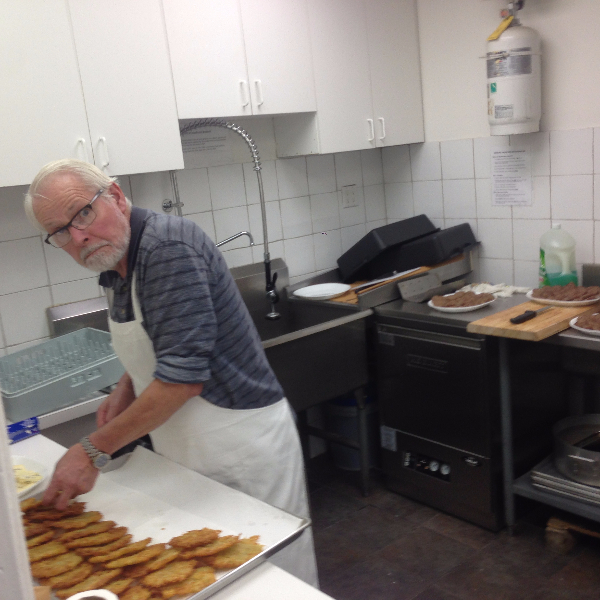 We also need to thank Eddy, Carla, Albina and Guido for preparing the panini. 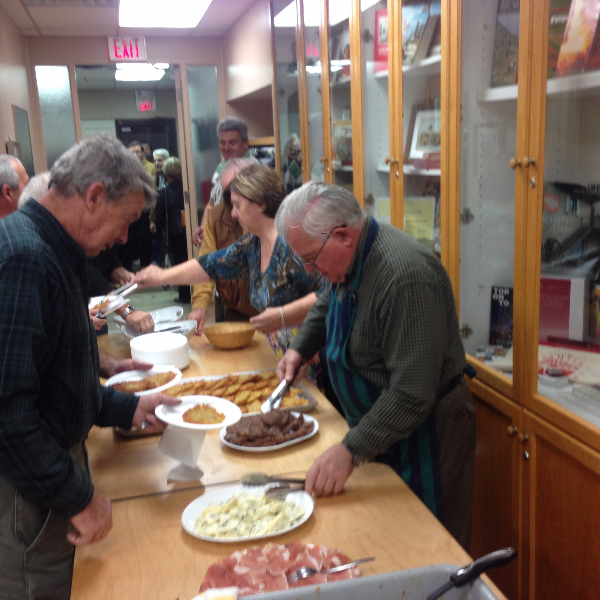 Thank you Guido and Carla Gembrini contributing some special cold cuts ! 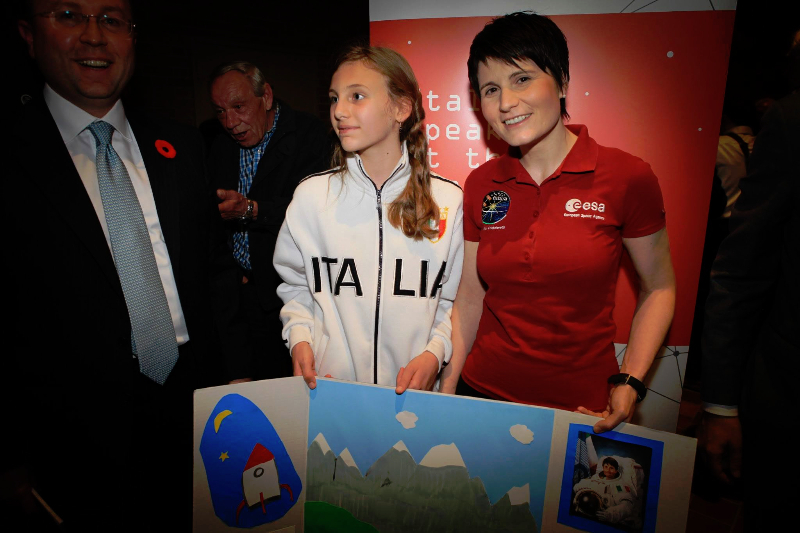 Thank you for all the posters which I believe Samantha signed. 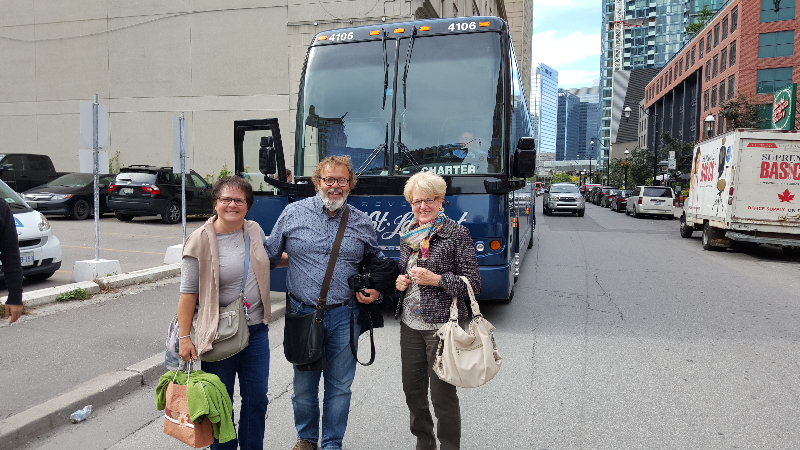 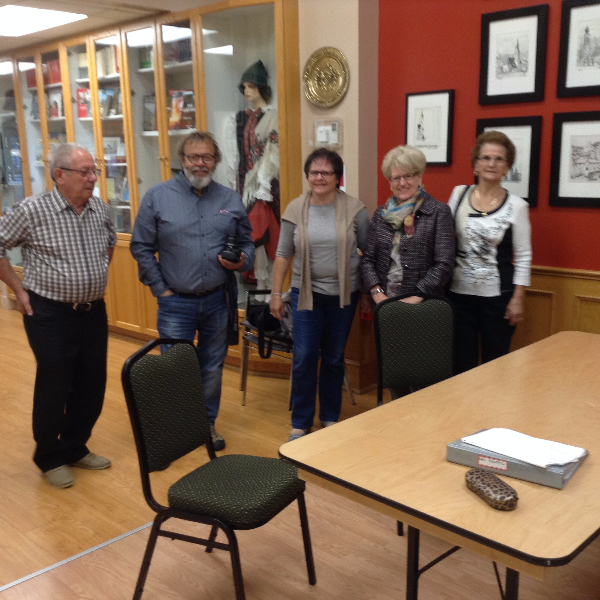 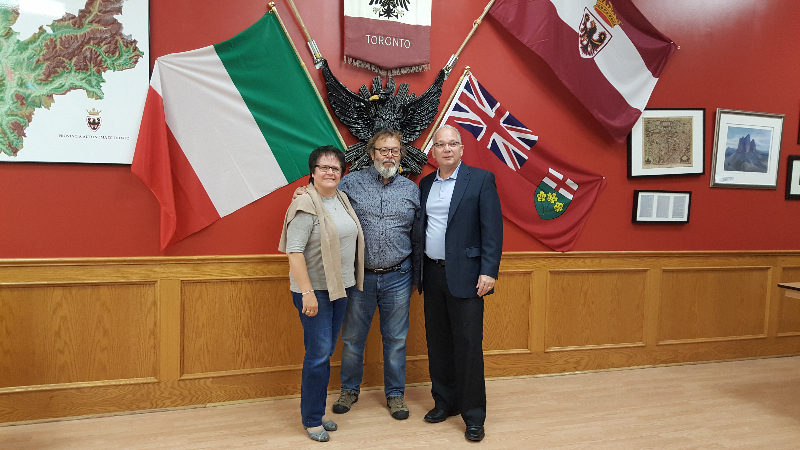 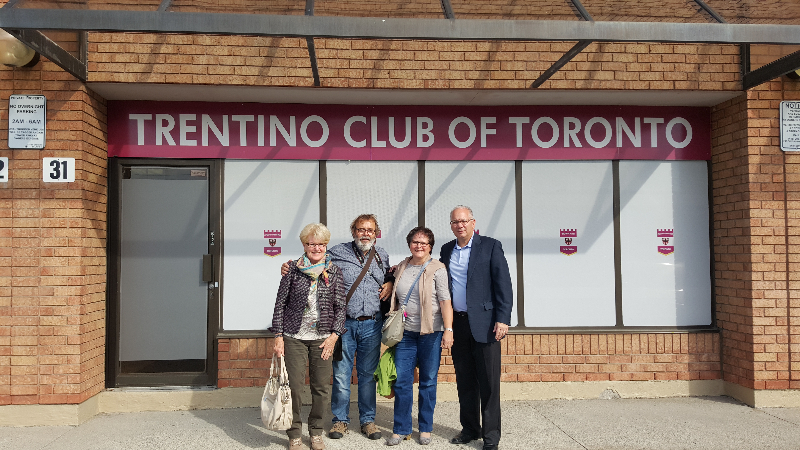 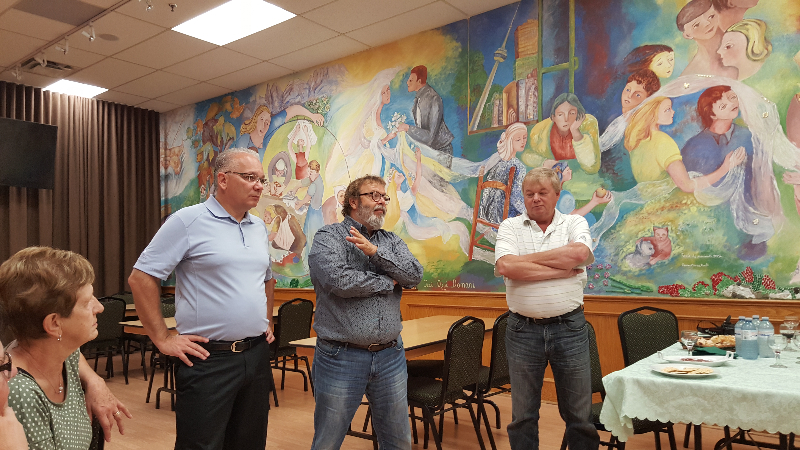 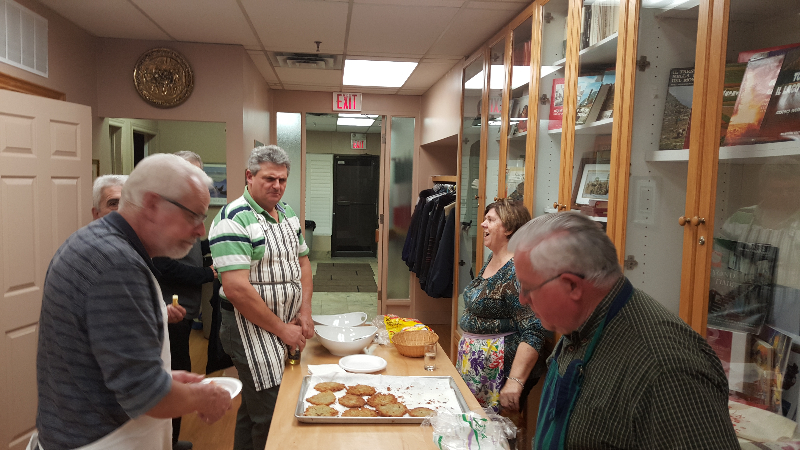 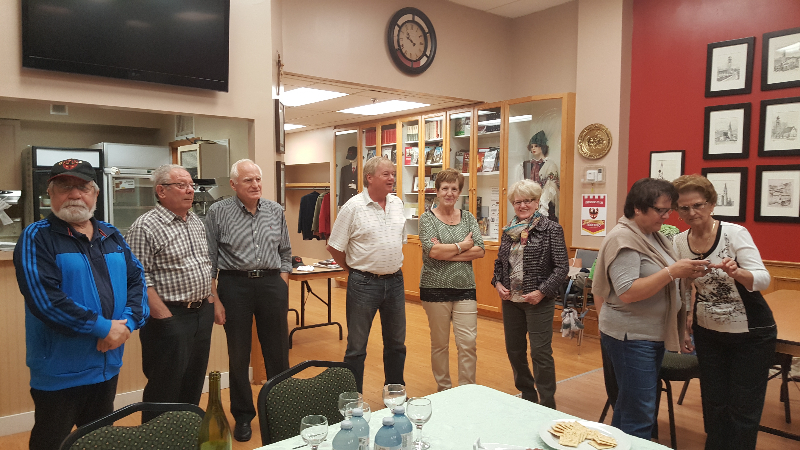 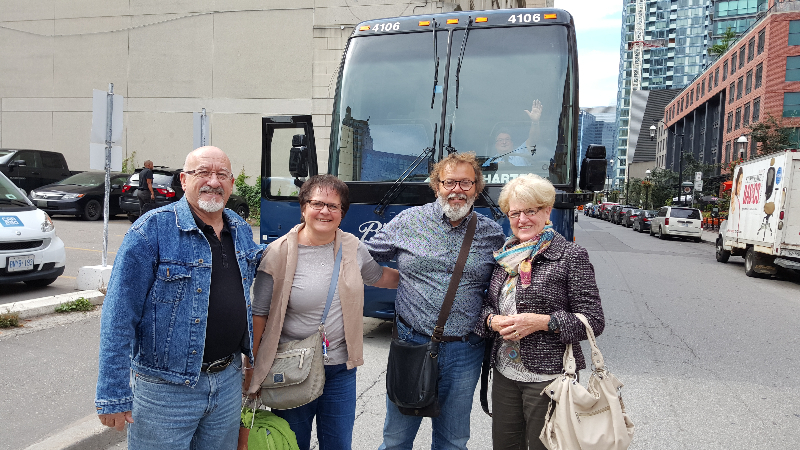 The President, Emile Pojer, vacationed in Toronto with his wife Marie, and on Monday September 27, 2015, he visited our Toronto Club. 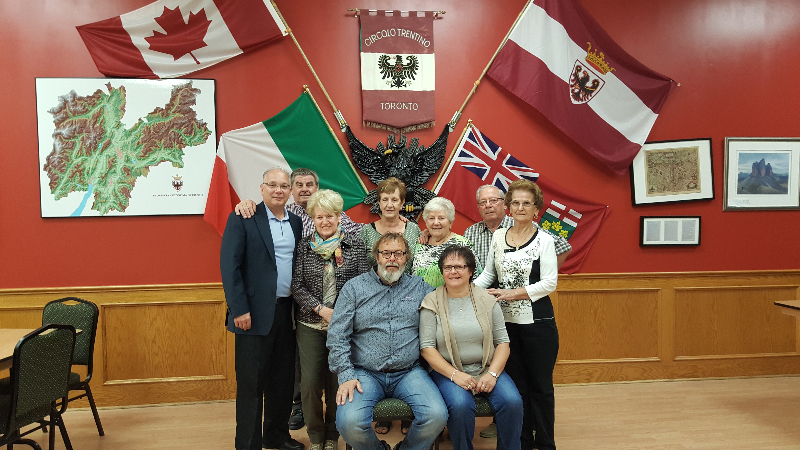 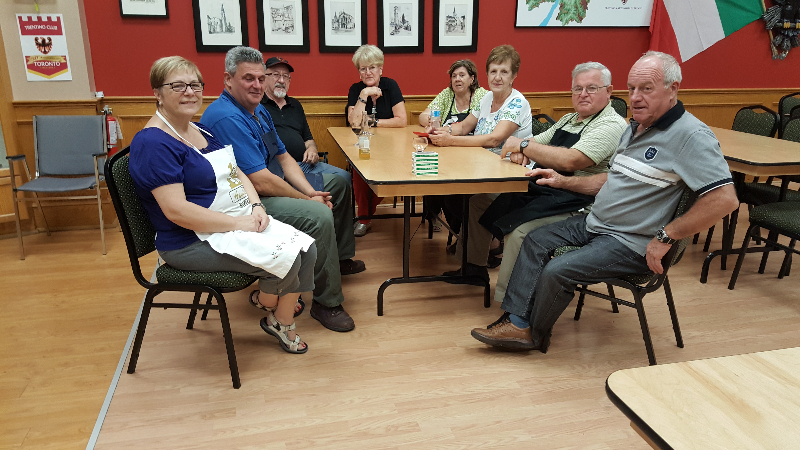 He met with a number of us Toronto Trentini and it was amazing that so many things they do in France we also do here in Toronto. 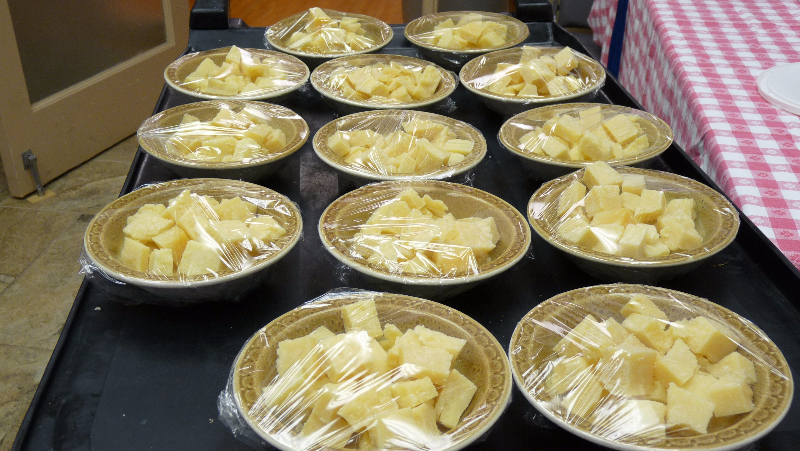 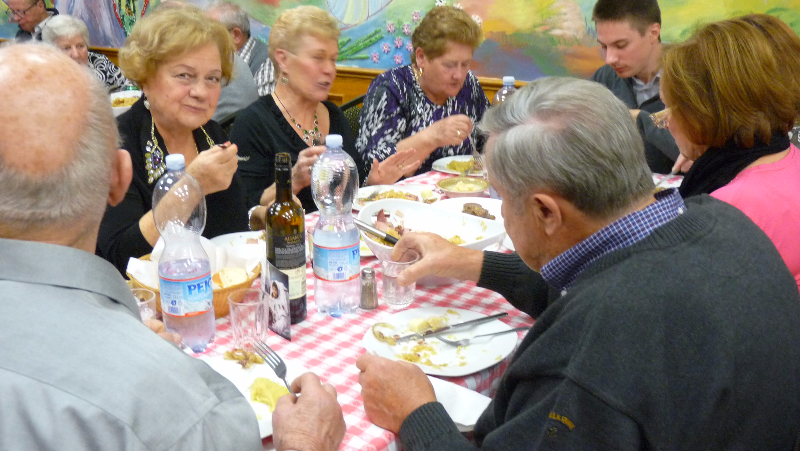 The Trentino Heritage is alive and well all over the world. 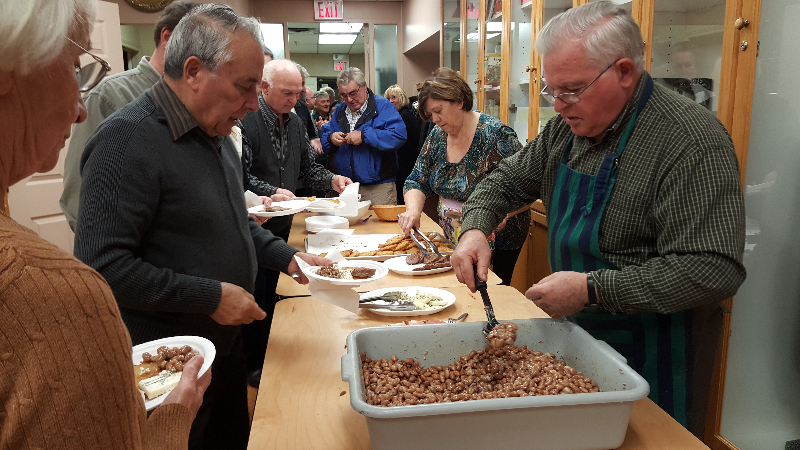 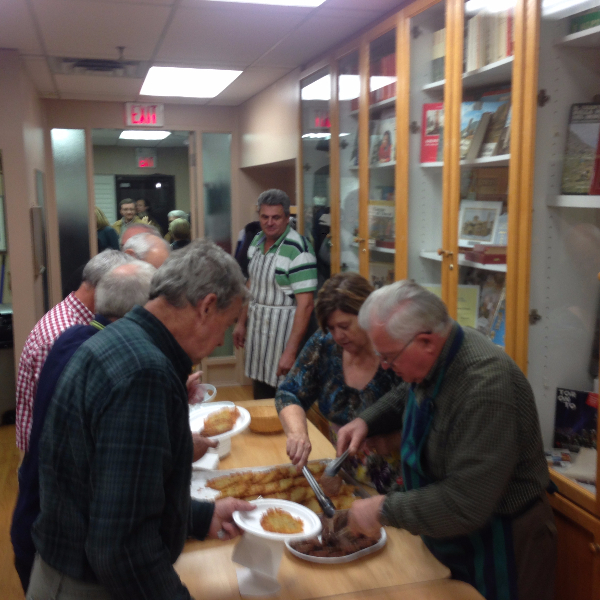 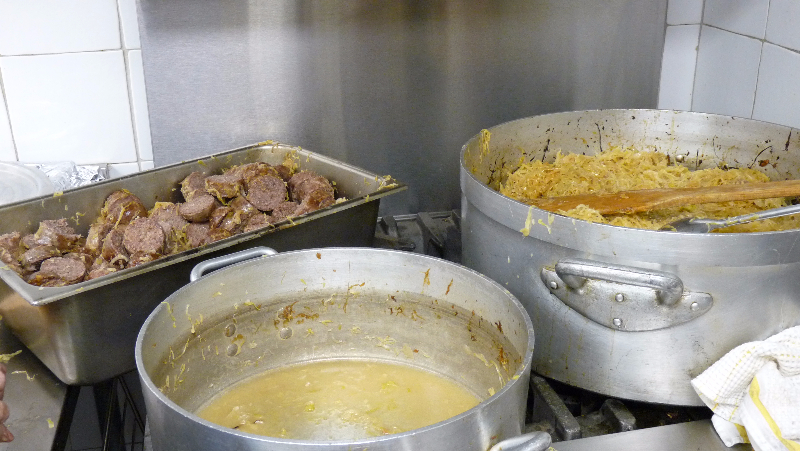 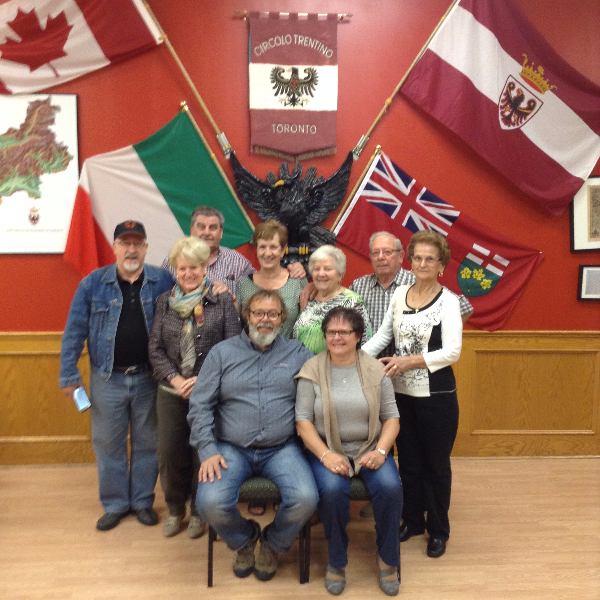 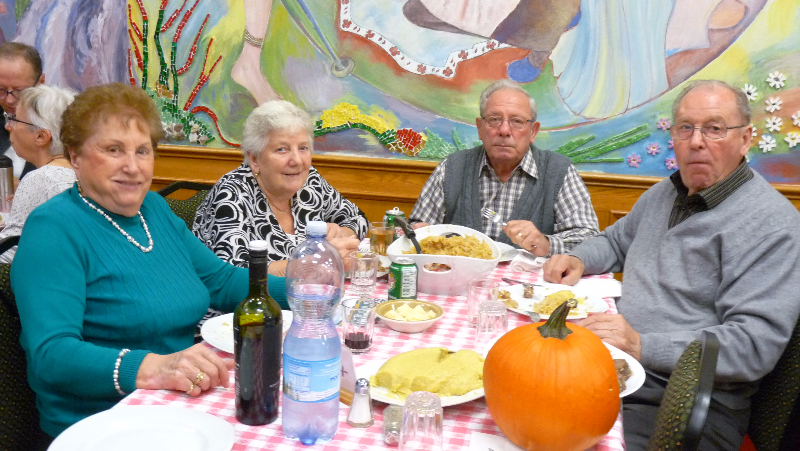 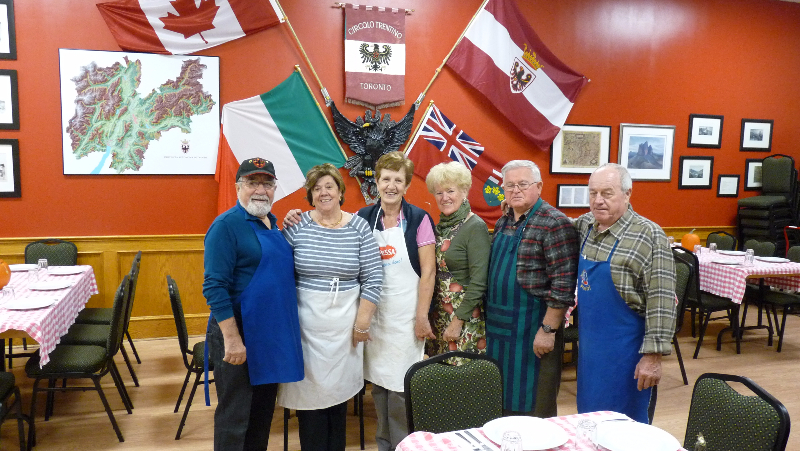 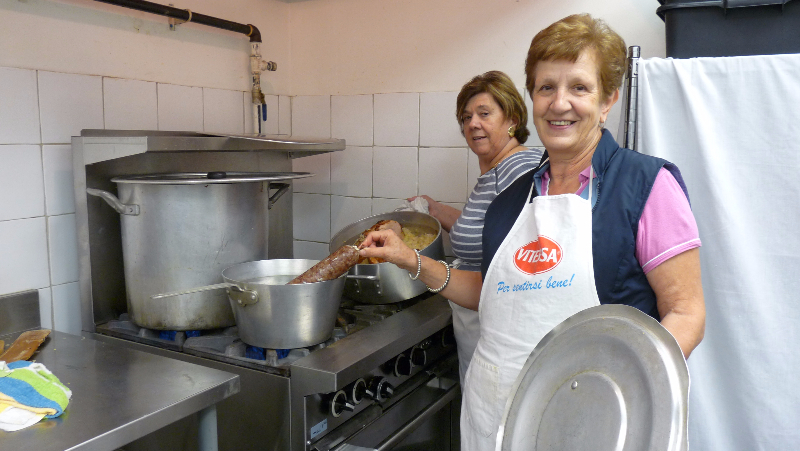 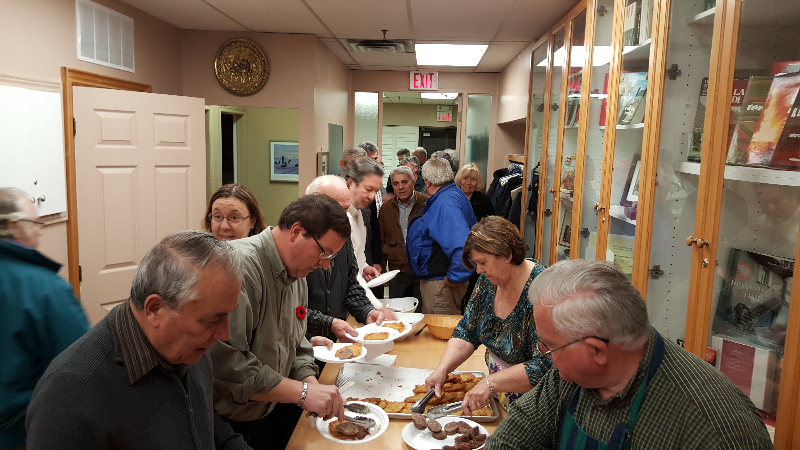 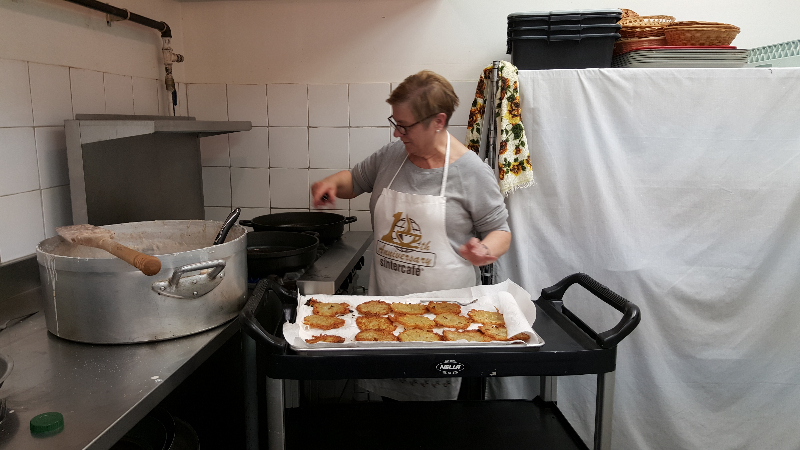 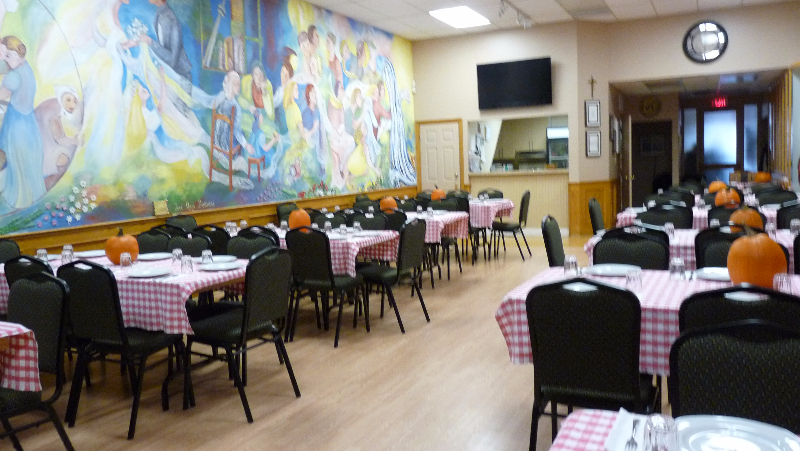 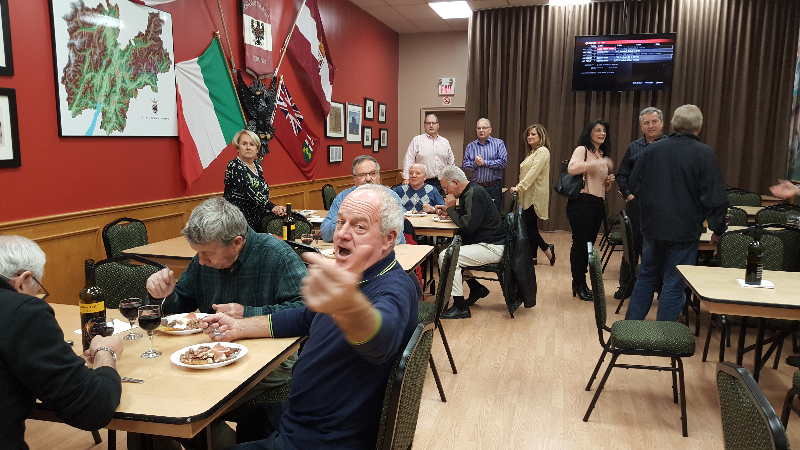 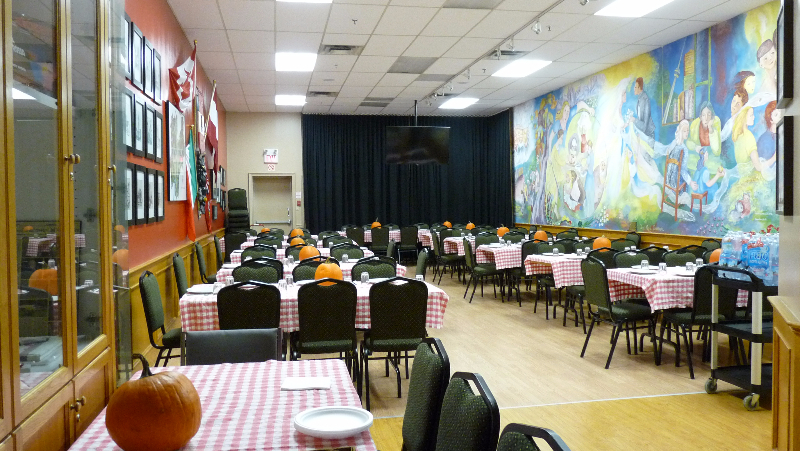 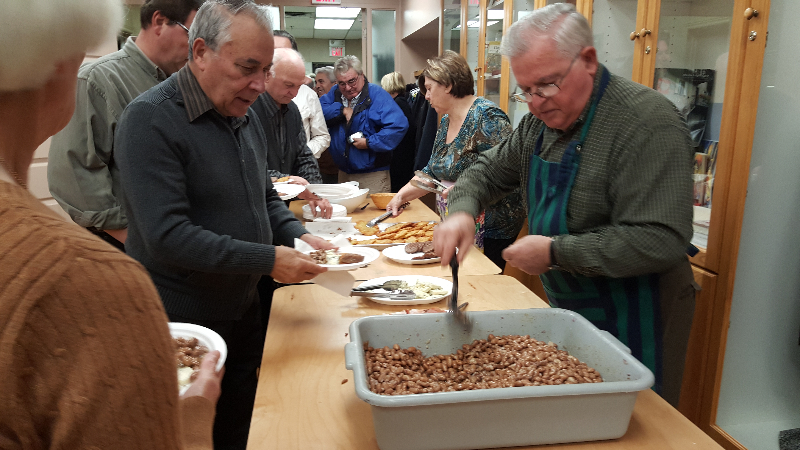 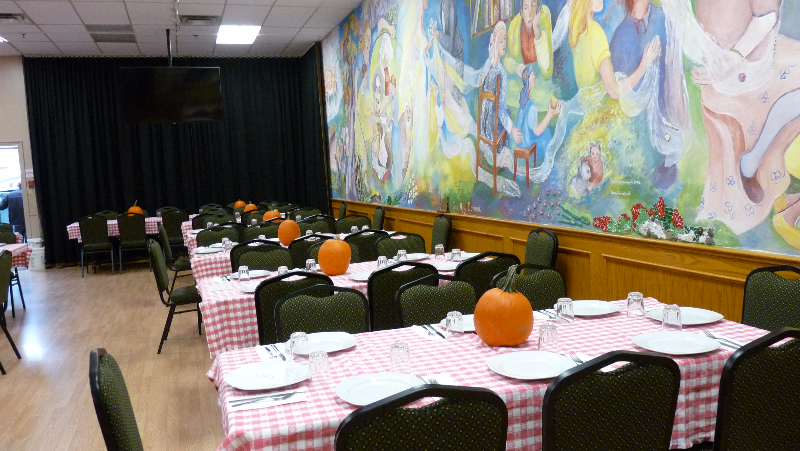 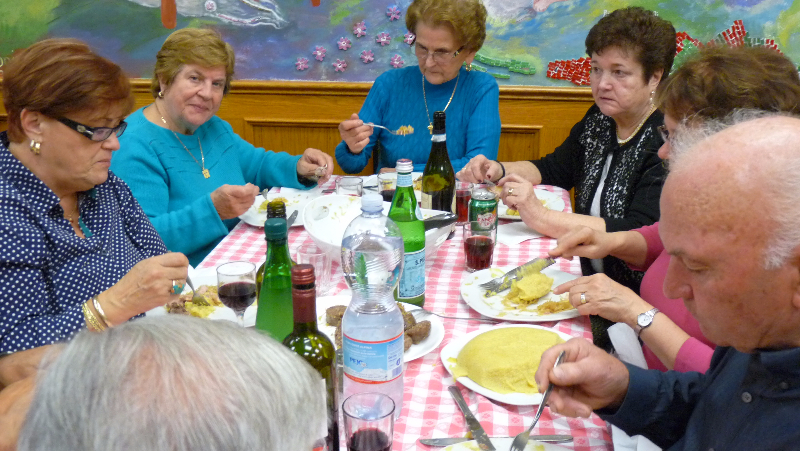 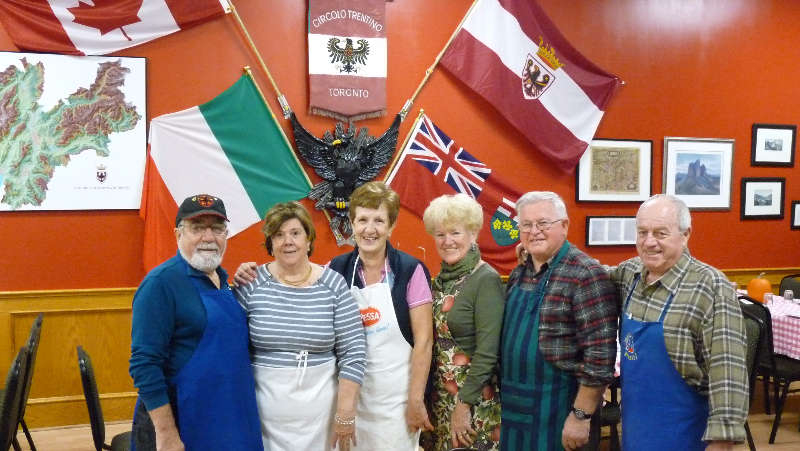 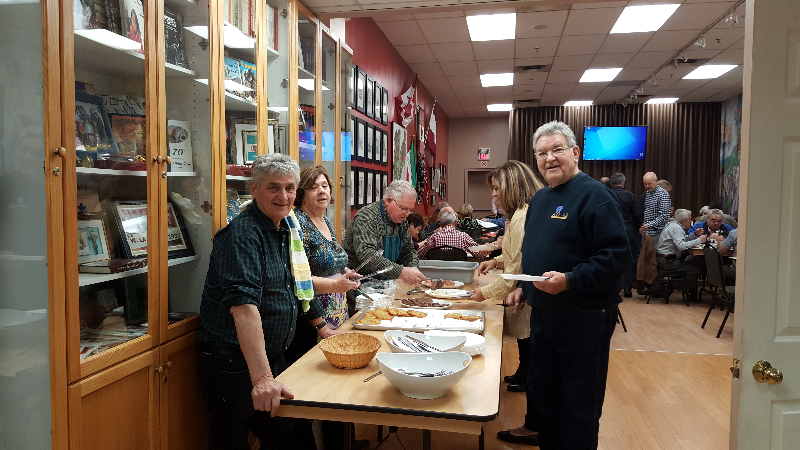 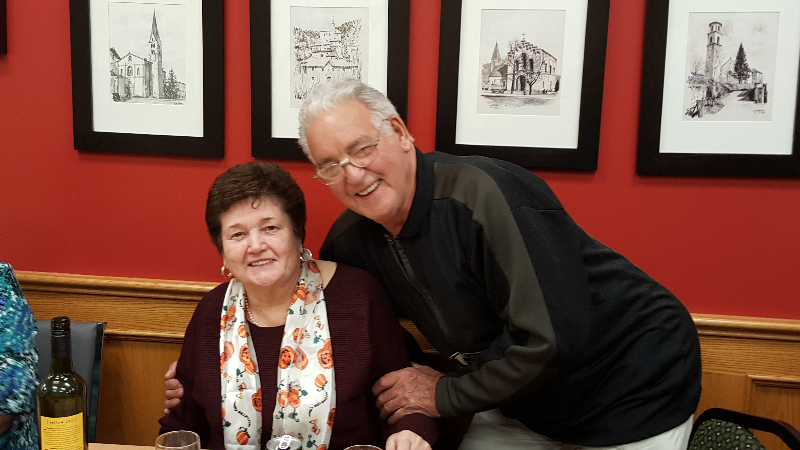 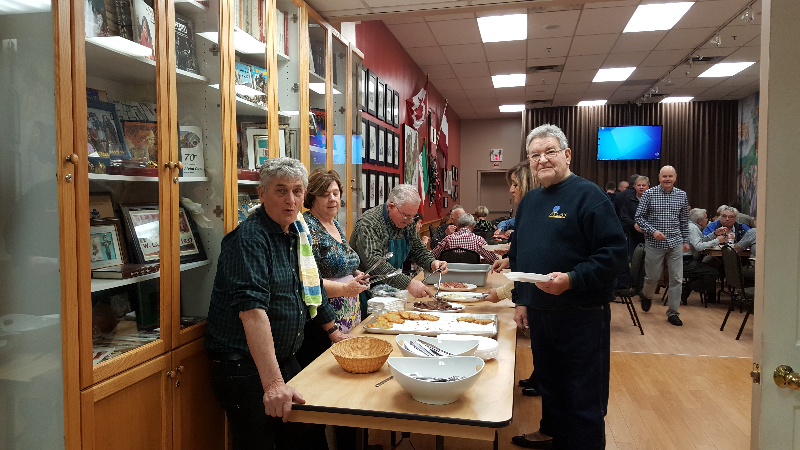 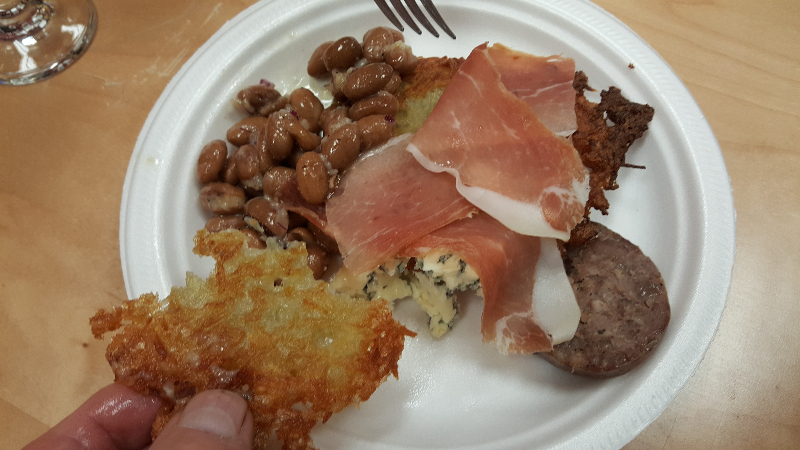 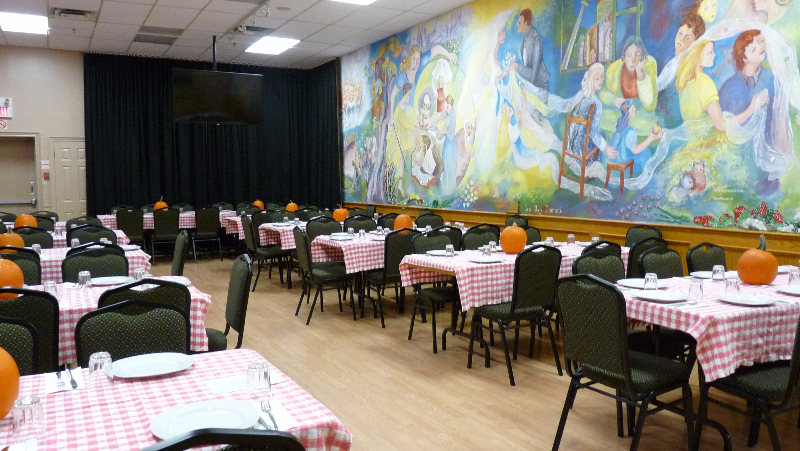 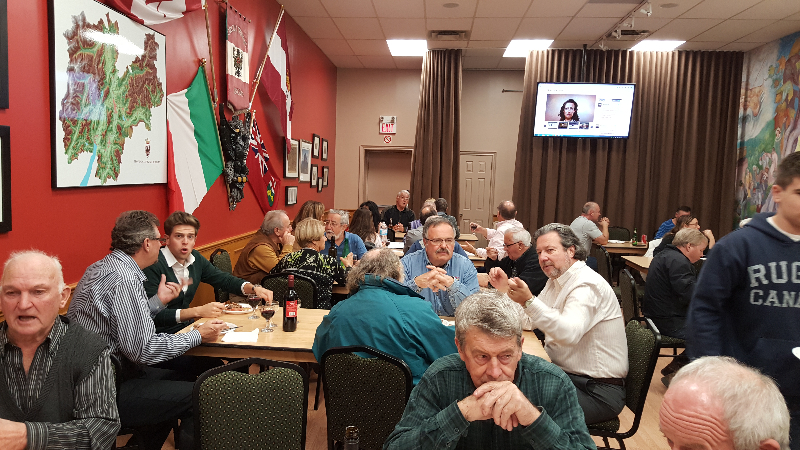 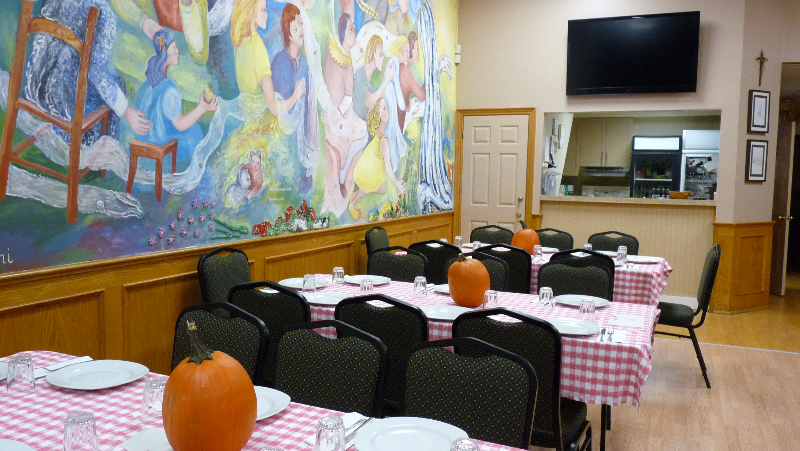 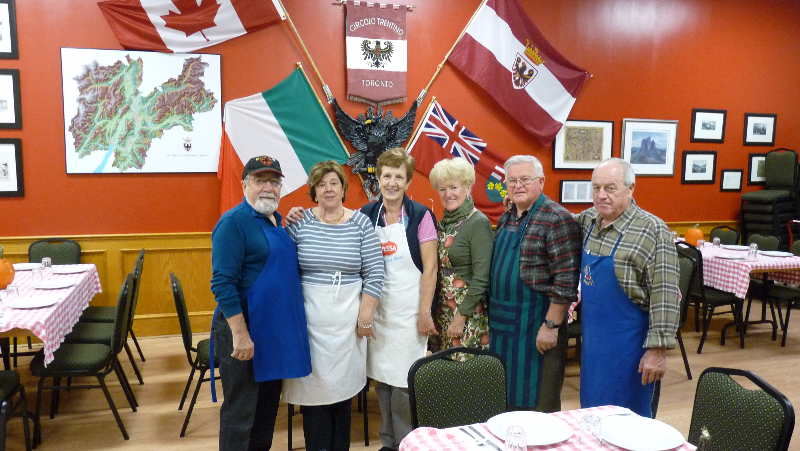 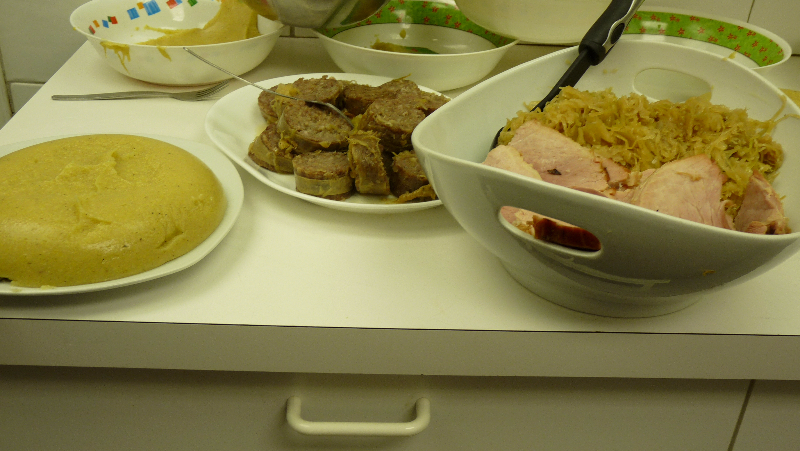 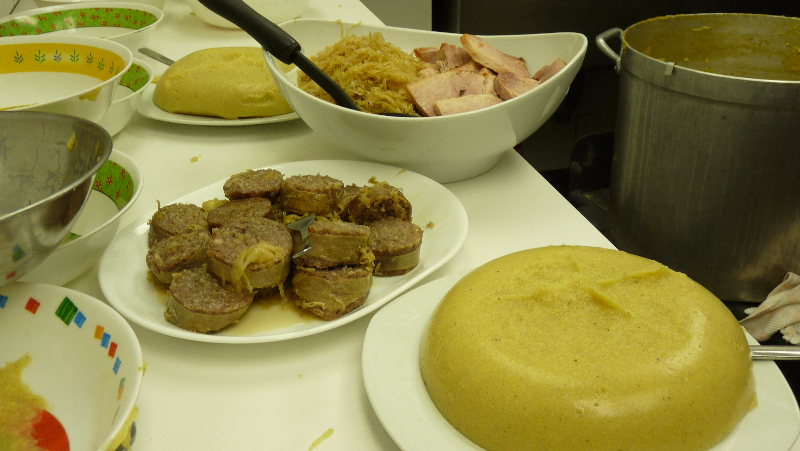 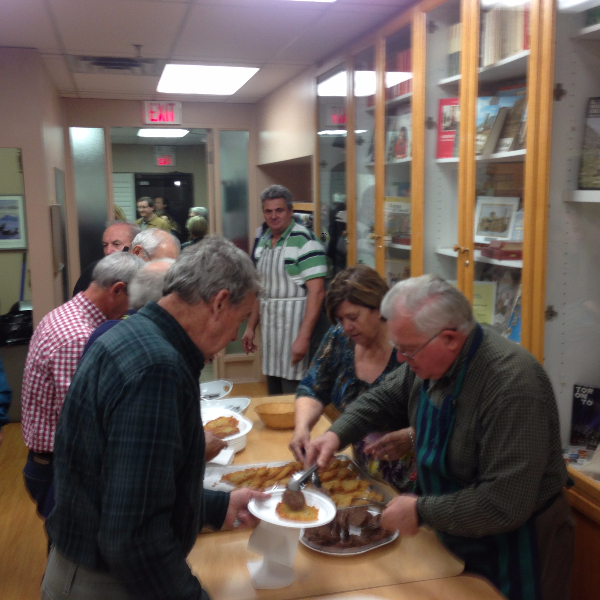 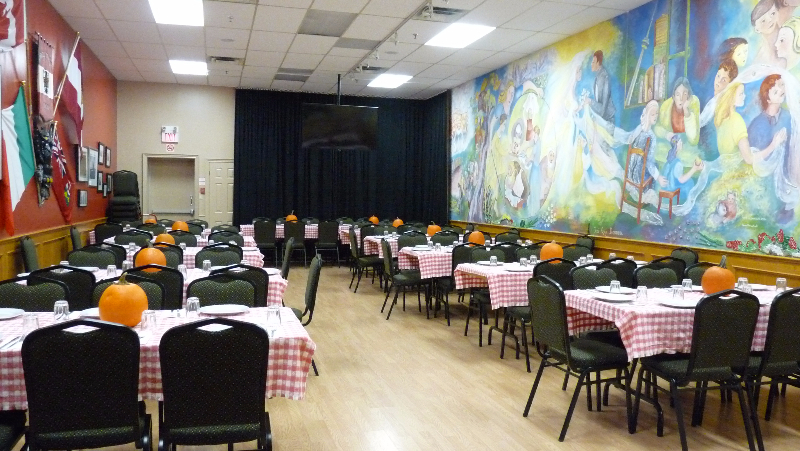 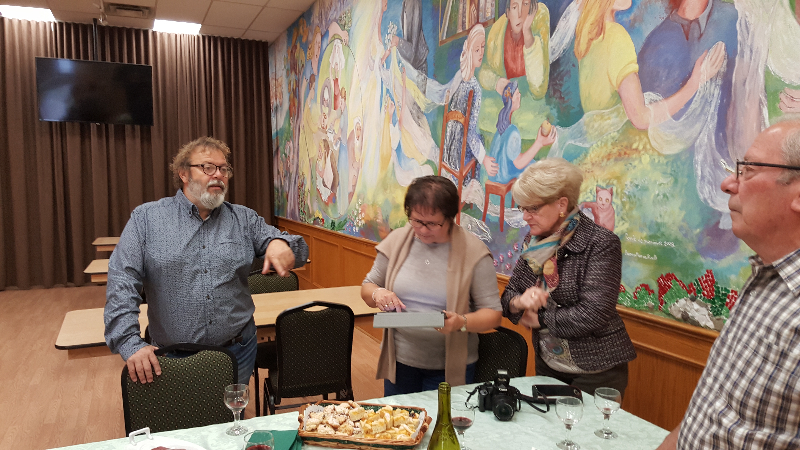 Our first dinner of the season on October 24 was a resounding success, with a hearty meal of cotechino, crauti, polenta and smoked meat that the large gathering enjoyed in good company of family and friends. 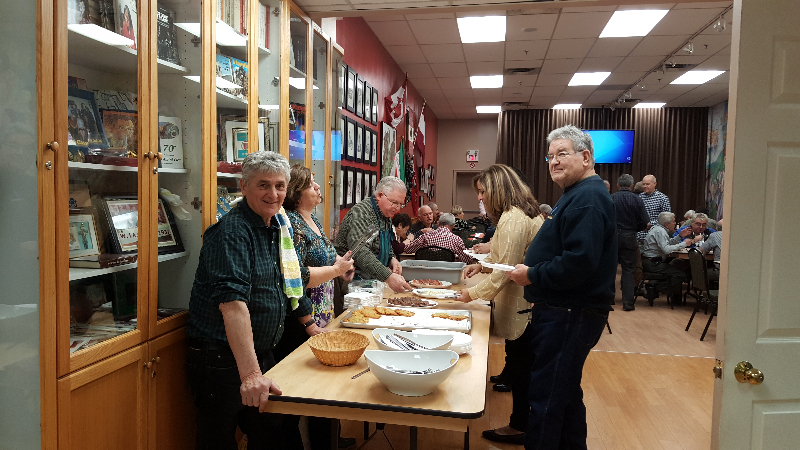 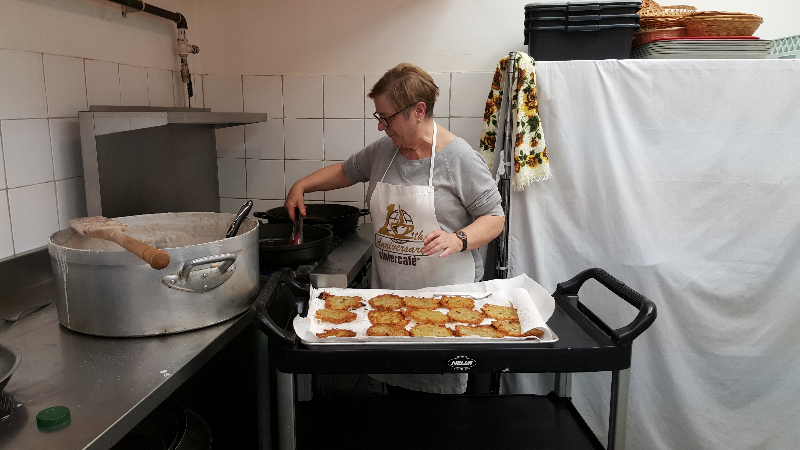 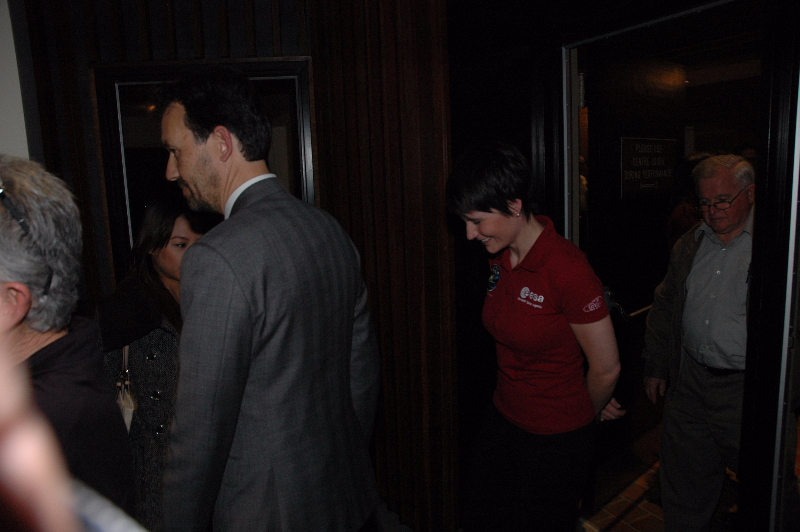 Of course, all of this was accomplished thanks to the initiative, planning and hard work of many people – chef Adriano Marchetti and numerous volunteers, not to mention our bartender, Sara Tanel, and all the wonderful ladies who brought the desserts. 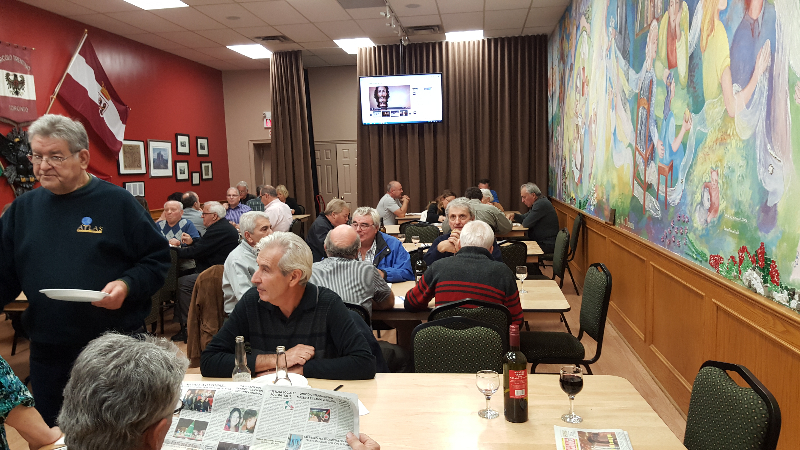 All in all, a very pleasant evening.